Left to right: Living Luminizer, "Un" Cover-Up, Lip2Cheek in Smile, Lip2Cheek in Modest, Contour Bronze. Left to right: Living Luminizer, "Un" Cover-Up in 22, Lip2Cheek in Smile, Lip2Cheek in Modest, Contour Bronze. My love for RMS Beauty is not a secret. I love not only their products, but their values and passion for creating really high quality organic makeup. Rose-Marie Swift, founder of RMS Beauty, started the brand after she got really ill from all the exposure to harmful chemicals as a makeup artist. Along with her brand, she is educating her customers about the toxic ingredients found in everyday skin care, makeup, and food. Her line is all about raw, organic ingredients that work together to create beautiful, natural-looking makeup. What I love most about her line is not that its organic or vegan, but the short ingredients list. They don't have all those chemicals with names you can't pronounce–its mostly just butters and pigment. That said, these are really high performing products for everyday use. They are quite pricey at around the £25-£30 price point but are definitely worth the spend since most of their products are multi-use (I use the contour as an eyeshadow as well!). I am not someone who uses strictly organic makeup. I personally think its more about the ingredients that are in a product than whether or not its organic. If its an organic product but still contains things like alcohol and parabens, I think it kind of defeats the whole purpose. There's also a whole thing about the term 'organic' and how companies are using it. More on that here. Also, I still haven't found an organic/bio mascara that works for my sad lashes since most aren't waterproof. I need the heavy sh*t, yknow? Tinted "Un" Powder in 2-3: This is my setting powder. It's essentially silica powder but because it's tinted, it doesn't give that ghostly white cast silica powders are known for. It is also the smoothest, finest silica powder I've ever tried (and I've tried quite a bit). "Un" Cover-Up in 22: This is, I think, the star of the line. It has a (super)natural looking coverage that works incredibly well under my eyes and also for any redness peeking through (used it here). Will never be without! 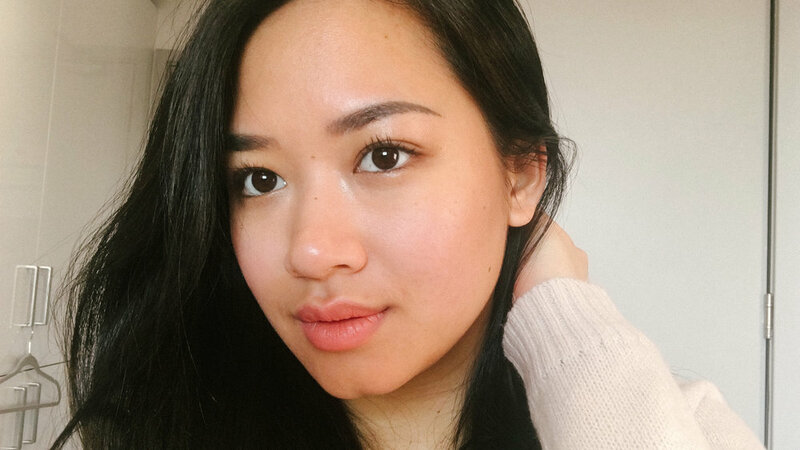 Living Luminizer: This is a cult favourite and I can see why. I have never tried a highlighter that has the same effect as this one. It's a more understated, healthy skin dewy glow, not your typical wham-bam-pow glitter highlight or shimmerbomb. Their Master Mixer is a similar one but with a more rose-gold hue for my darker skin babes. Contour Bronze: This one was something I was really skeptical about. It has a little bit of shimmer which is really uncommon for a contour colour. The effect on the skin is barely noticeable though which was a relief. The colour is a nice brown with a hint of red for that suntan look. Its worked really well for me and does not look grey or unnatural at all! It makes for a really nice eyeshadow as well. Lip2Cheek in Smile and Modest: Modest has got to be my favourite of the two. Smile is described bright coral-pink and Modest is a fresh bright rose. Both colours look really nice on my cheeks but Smile is a little too bright on my lips. On the lips, I would use a balm over it just for that extra bit of moisture though. If you have time, definitely have a read about their story in their website. I have a list of new things from them I'd like to try. If you're looking for another brand, Tata Harper is similar with great ingredients as well (although the prices are a bit steeper).